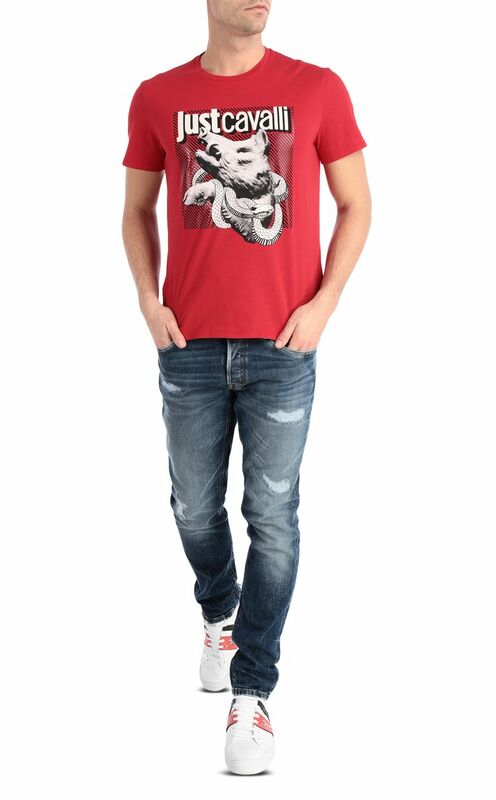 Short-sleeve red t-shirt featuring a print portraying a wild boar with a snake wound around its neck. 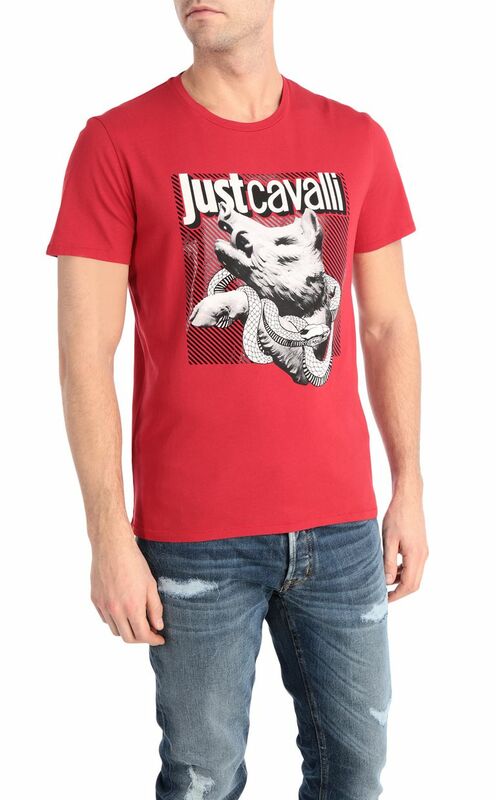 It takes its inspiration from the famous Porcellino fountain in Florence which is known for bringing good luck. 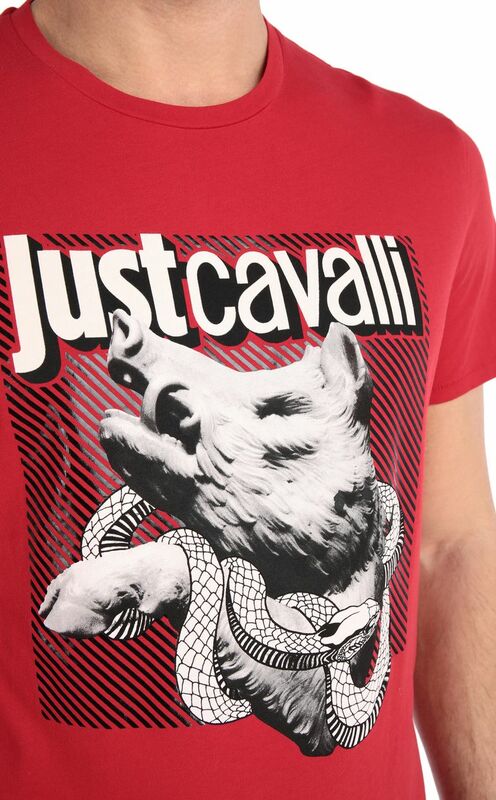 Contrasting Just-Cavalli logo. Regular fit.